At the moment all sessions are priced at £30, 1st Class charges a referral fee for each student, this is a one of fee. There are special offers which will change the pricing structure at times. 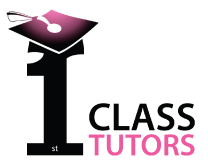 Each tutor must supple a 6 session plan for each student and submit a monthly report after that time. You will be supported at 1st Class, with regular meeting and sharing of resources. If you are passionate about teaching and education get in touch with Lynne.